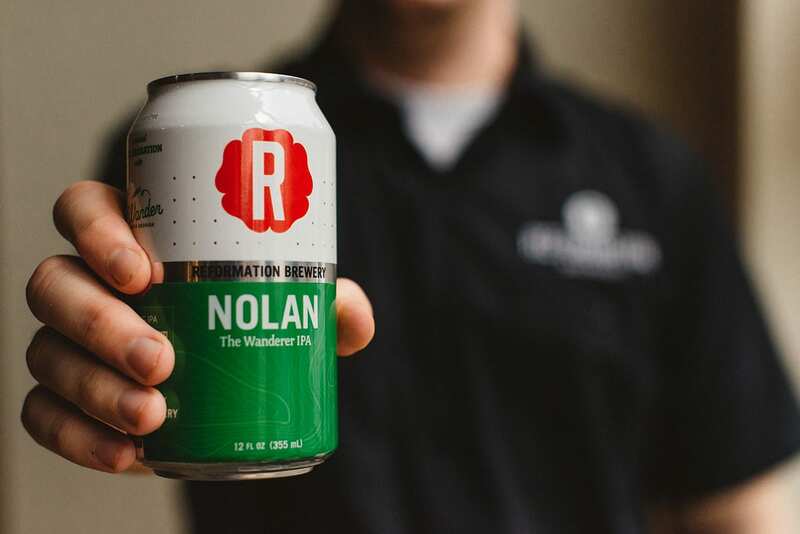 Nolan The Wanderer is a special collaboration between our team at Wander and the amazing folks at Reformation Brewery. The story of our two brands has a lot in common. We’re both home grown businesses in the state of Georgia and we both have an awful lot of love for North Georgia as a place we live, work, play and raise our families. We’re also both hard at work on giving something back of lasting value to the surrounding community that goes well beyond our day to day business. A co-branded beer is just the beginning of bringing our community a taste of that very real commitment. We couldn’t be more excited to be pouring such delicious beer with such good friends. We thought we’d take a few minutes to sit down with the brains behind the beer and ask them a few questions. Look for the second adventure (#002) for Nolan The Wanderer July 1, available in draft and 12oz cans at independent retailers near you. Come get an early preview of this market release at the brewery on Friday, June 29th. I can’t find Nolan, can you help? 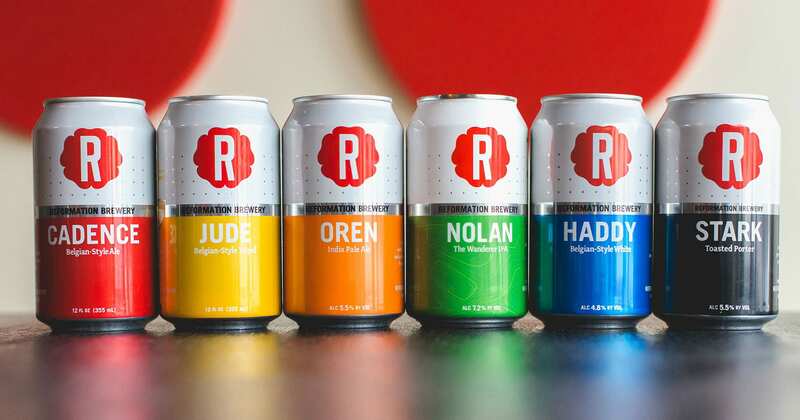 The best way to find your favorite Reformation beer near you is to ask your local retailer to place an order! We also recommend Untappd, which has a handy app-based mobile beer finder. The brewery is also open Monday through Friday from 9a-5p for to-go beer sales outside of our usual hours for bar service and beer pickup. And the Wander store has 6 packs to go or as singles to build your own 6-pack where you can layer in some of our other beers they also stock. Adventure #002 is the second in our rotating IPA series, Nolan The Wanderer. This version is out take on a New England style IPA, with low bitterness followed by tropical notes of ripe mango, tangerine, and pineapple. Dry hopped with Mosaic, Citra, & Mandarina Bavaria this NEIPA is brewed with lightly kilned malts, flaked oats for mouthfeel, and comes in at 7.2% ABV. Check the bottom of the can, or look for a sticker on the top of each 6-pack for the current adventure. I love the current Nolan. Will it come back? This beer will always be on new IPA adventures with each release. But we are considering bringing back successful paths as seasonals in years to come. What is a Rotating IPA? While alcohol content will remain fixed, Nolan will have a unique malt, hop, and process with each release — rotating through styles, stories, and techniques that make the IPA such a compelling and diverse style. The landscape of beer is continually evolving, and Nolan The Wanderer is focused on being responsive to that journey. While some of our names are inspired by real-life characters, we strive to build values and vision around these characters and let the consumer build their own stories. The name Nolan been a personal favorite of ours for a long time. 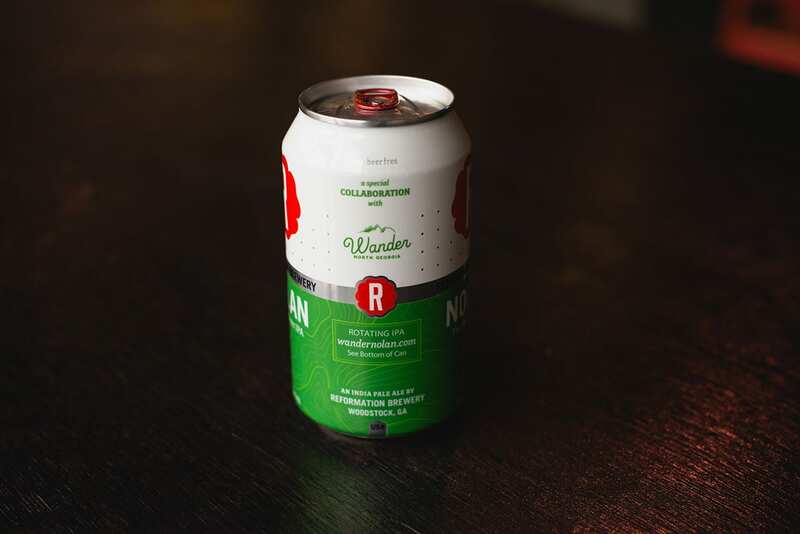 Nolan The Wanderer is part of a family of beers who are on a journey to set beer free. Our experimentation with the Wanderer series is ongoing. You can visit the Keeping Room (our tasting room) for in-house R&D every week. Right at this moment we’ve brewed a Brut IPA, an emerging style out of California, and this is a strong contender for a future release. Our version is highly carbonated with notes of melon, pear, and apple on the aroma, followed by a dry champagne finish. Come give it a taste and let us know what you think!